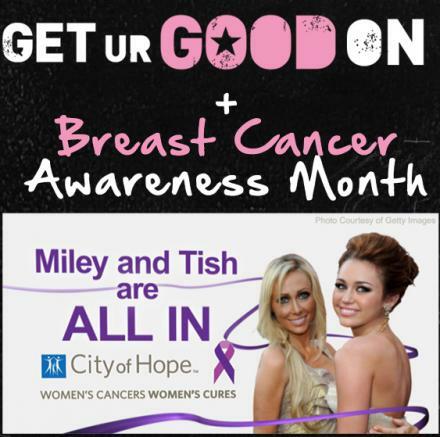 Miley Cyrus, City of Hope, and Youth Service America want you to Get Ur Good On for Breast Cancer Awareness Month. Four people will win a Get Ur Good On poster or t-shirt autographed by Miley. Deadline is October 29! Visit the contest page on GetUrGoodOn.org for contest details HERE. Cool Instruction, thanks a lot. When it comes to guys and women who also desire to burn excess fat very rapidly, consider our website for the proper solution to shed undesirable weight almost instantly.